This weekend was a race against time for Legendary Pictures. Last Friday, a teaser for their new Godzilla remake found its way onto the internet. The mostly completed video spread like wildfire. As soon as it was removed from YouTube, it hit Vimeo. By the time the studios were able to remove those uploads it was too late, the trailer was available for download and there were links appearing on communities like Reddit. Despite the film being slated for a May 2014 release, the teaser wasn’t scheduled to be seen for another month. We managed to get a glimpse before the teaser was taken down, and it seems that Legendary should be more excited than worried because mostly everyone who sees the trailer agrees – they potentially have a big hit on their hands. The last news that we brought you about the new Godzilla remake was the official release date, which Legendary Pictures set as May 16, 2014. This new Godzilla would be the second attempt at a big-budget Hollywood remake of the classic Japanese monster movie, and judging by this leaked trailer, director Gareth Edwards and Legendary are looking to do it right this time. One of the first glimpses that the public got to see of the 2014 remake was at last year’s San Diego Comic Con during the panel for this year’s Hollywood giant monster movie, Pacific Rim. A Comic Con attendee who saw that first bit of footage in 2012 noted that, “Pacific Rim definitely feels more like The Avengers, while Godzilla feels like The Dark Knight.” Well, judging by that leaked teaser, that Comic Con attendee hit it on the nose. …and the creature roars, and the audience know’s for sure. It’s him. It’s Godzilla. At this point the image cuts to black, and we get the title card that makes up the official poster (shown above). 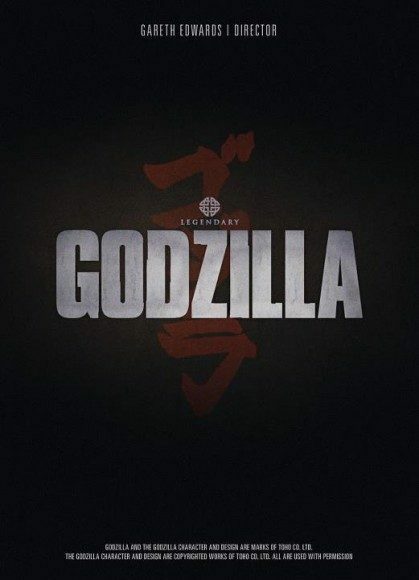 The Japanese lettering behind the title isn’t purely aesthetic, as much of the trailer nods to a remake that is truly trying to capture the spirit of the original Japanese Godzilla. With the choice of the Oppenheimer quote, there is an indication that the original symbolism of the monster being a reflection of humankind’s destructive power after creating the nuclear bomb is indeed being taken into consideration. For most fans, though, the most important tidbit that was revealed in the teaser was the return of the original character design for Godzilla, which comes as a relief for an American audience that was devastated by the original Hollywood depiction of the giant beast. The first attempt to Americanize the infamous kaiju was Roland Emmerich’s 1998 Godzilla, starring Matthew Broderick and Jean Reno, which was panned by both critics and fans for its uneven tone, unfaithful creature design, and for not taking the subject matter seriously. Of course, the original Godzilla movies are pretty campy themselves, but the filmmakers never tried to infuse their scripts with comedy. 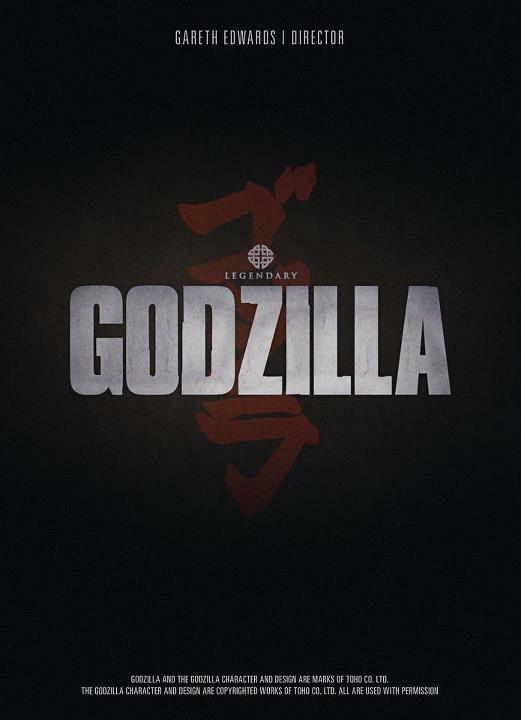 When reviewing Emmerich’s Godzilla, Roger Ebert spoke out about the original Japanese Godzilla films: “yes, the Japanese Godzilla movies are, in their way, better–if only because they embrace dreck instead of condescending to it.” Legendary Pictures is learning from that first Godzilla remake and brought on board a team known to take genre movies seriously. The script for 2014’s Godzilla has four official writing credits, according to IMDB. Most notably among them are David S. Goyer with a story credit, and Frank Darabont with a screenplay credit. Goyer, at his best, worked with Christopher Nolan to give the world the latest Batman trilogy – which found record-breaking, world-wide success portraying the Bat in a dramatically darker tone than the movies series that began with Tim Burton’s Batman. That darker tone paid dividends, and introduced a mainstream audience to superhero movies with serious, adult themes. Frank Darabont is known for doing the same, famously so for his work on the first season of AMC’s The Walking Dead, which brought human drama and emotion to the zombie story. The secret weapon that Legendary is bringing to the table is director Gareth Edwards. Edwards, who made his debut with the 2010 indie Monsters, is hoping to join the ranks of filmmakers like Guillermo del Toro (Hellboy, Pan’s Labyrinth, Pacific Rim), Christopher Nolan (Batman Begins, The Dark Knight, Inception), and more recently, Neil Blomkamp (District 9, Elysium) – indie directors who aren’t afraid to make big-budget, genre movies that don’t insult the intelligence of their audiences. So far Edwards has a tone that promises true devastation with staggering consequences. While 1998’s Godzilla was afraid to show a single human casualty, there are litters of victims in Edwards’ trailer. The creature is at his true, unfathomable size, and he seems much more invincible than the monster that was taken down by a handful of missiles in front of Matthew Broderick.